How Do I Change a Gas Filter on a John Deere L110? One of the parts on your John Deere L110 that should be serviced regularly is the gas (or fuel) filter, which, according to CarJunky.com, traps any large foreign particles in the fuel and stops them from getting into the engine. 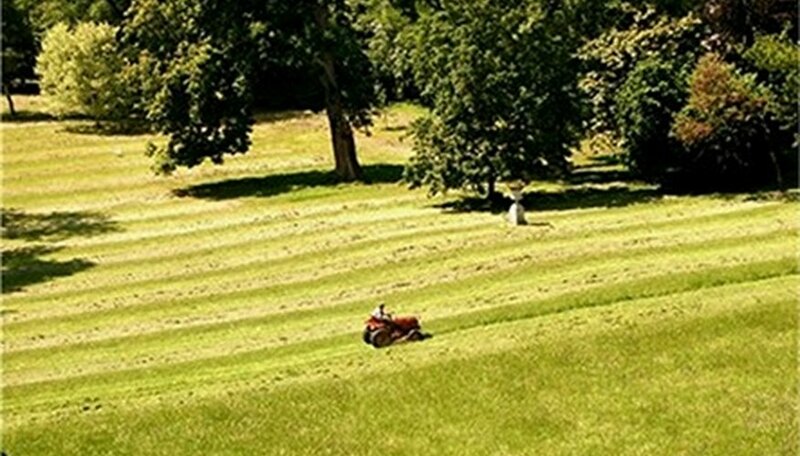 When you're mowing the lawn, large foreign particles are the name of the game, occurring frequently in the form of sticks, twigs, leaves and rocks. John Deere recommends replacing the fuel filter once every fifty hours of operation and your riding mower will run as good as new. Turn off engine (if currently running) and allow engine to cool thoroughly before beginning your fuel filter replacement. Raise the hood of your John Deere L110. Place a drain pan underneath the fuel filter. Using a pliers, slide the two hose clamps away from the fuel filter in either direction. Disconnect the two hoses from the old filter and replace it with your new fuel filter. Be sure to point the filter arrow in the direction of fuel flow. Replace clamps, making certain to tighten with a pliers if necessary. Check for leaks when the clamps are back in place. Lower the hood to your John Deere L110. John Deere warns of one common mistake when removing and installing a new fuel filter: "Avoid damage! Incorrect installation of fuel filter may cause engine damage. Install the filter with the arrow pointing in the direction of fuel flow for proper operation." Dan Gaz is a graduate of Indiana University with degrees in both exercise science and applied sport science. A self-proclaimed Internet Renaissance man, Gaz is a jack-of-all-trades and a master of none. His work can be seen in the "Post-Bulletin" (Rochester, Minn.) and on various websites.